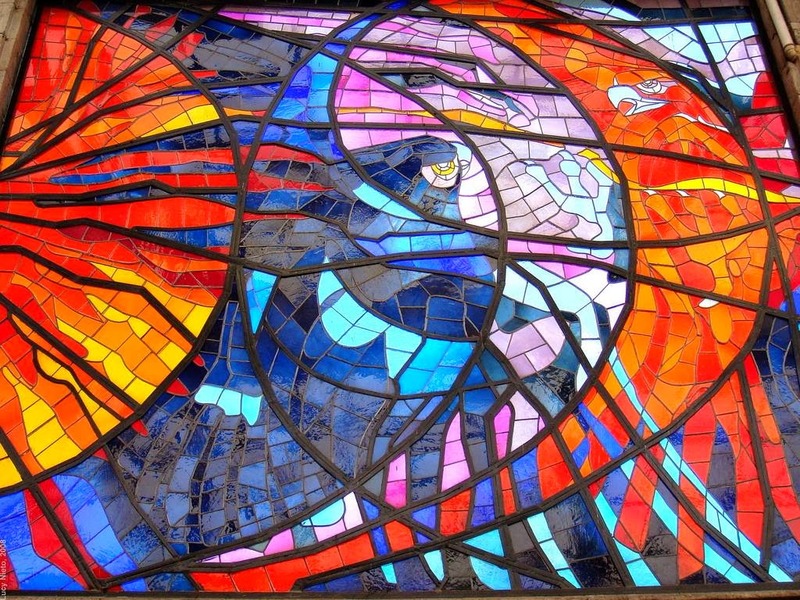 Stained glass is invariably associated with place of worship. 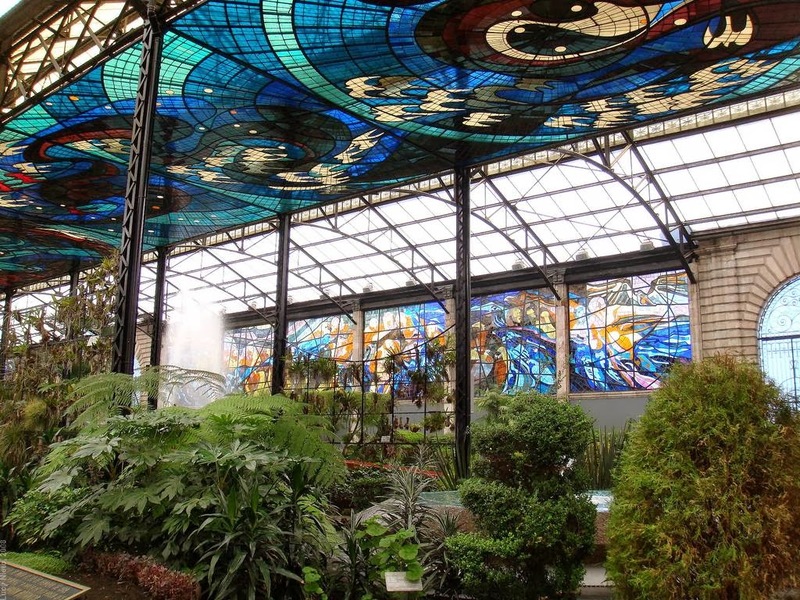 Yet the lucky residents of the Mexican city of Toluca have a wonderful botanical garden replete with a host of incredibly stained glass windows. 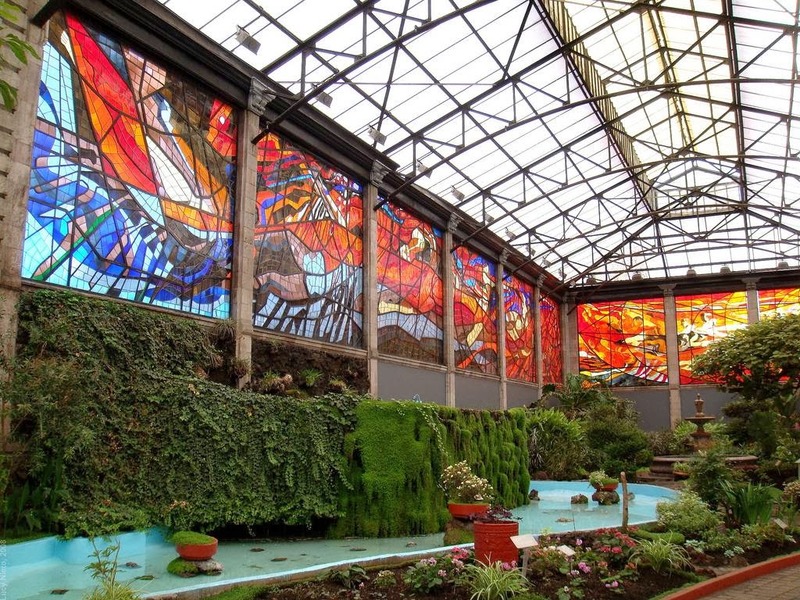 As well as being a superb display of plants and art together, it is a tour de force in what to do with a building once it outlives its original purpose. 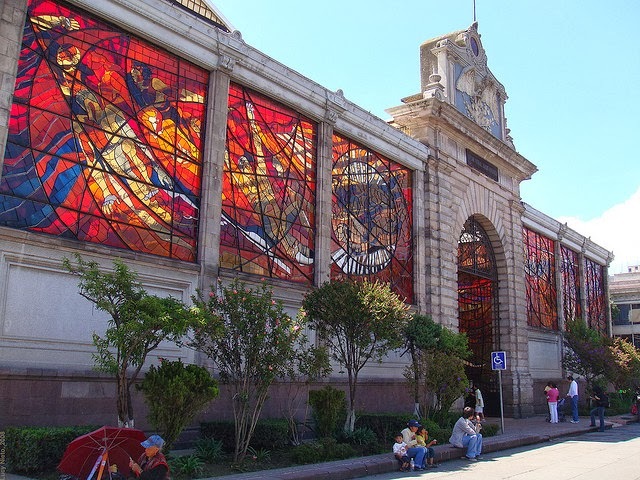 Although the building looks as if it could have been built as a railway station it was in fact a market for over sixty years. 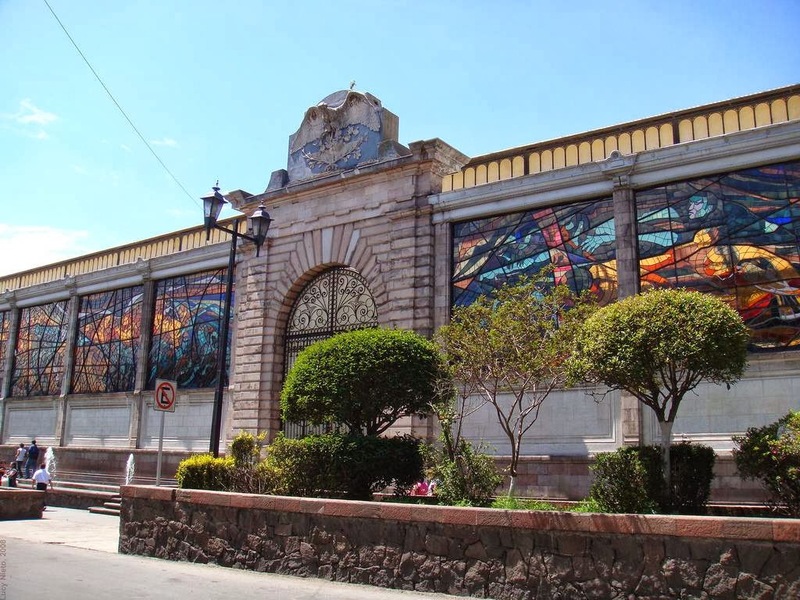 As Toluca’s first permanent market it was of massive importance to the city. Yet as the city flourished and grew the marketplace became too small. By the time of its closure in 1975 it was surrounded by satellite markets (of the flea variety) and often the roads around it were so congested they became impassable. The city took the decision to close the market down and to relocate it. Yet what was to be done with the wonderful art deco building with its metal and glass roof? Some wanted the building demolished and replaced with a piazza while others wanted it to be sold in to private hands for conversion in to office buildings. One man, however, had different ideas. 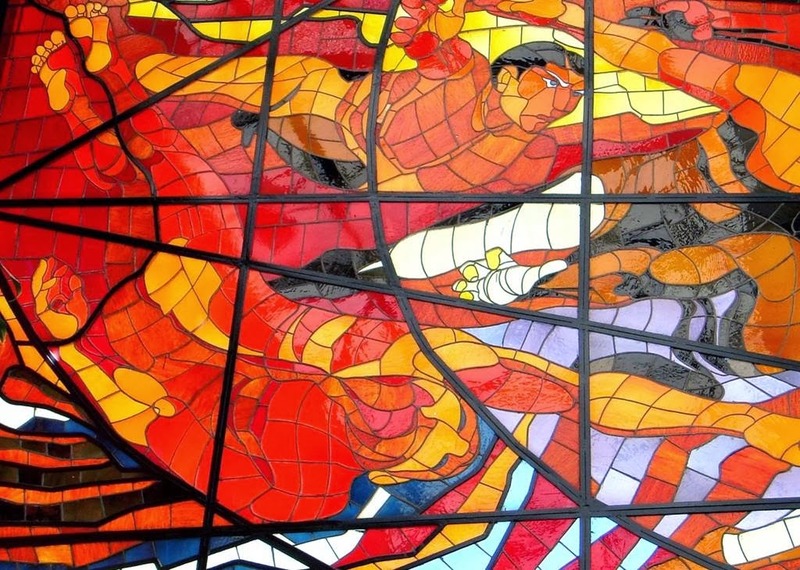 Step forward Leopoldo Flores – a local artist with a plan. 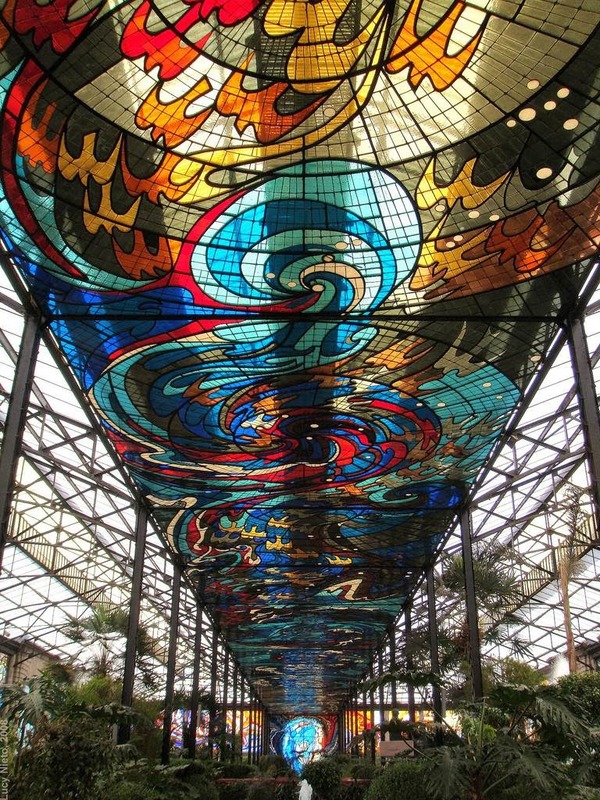 Flores envisioned something magnificent for the space. 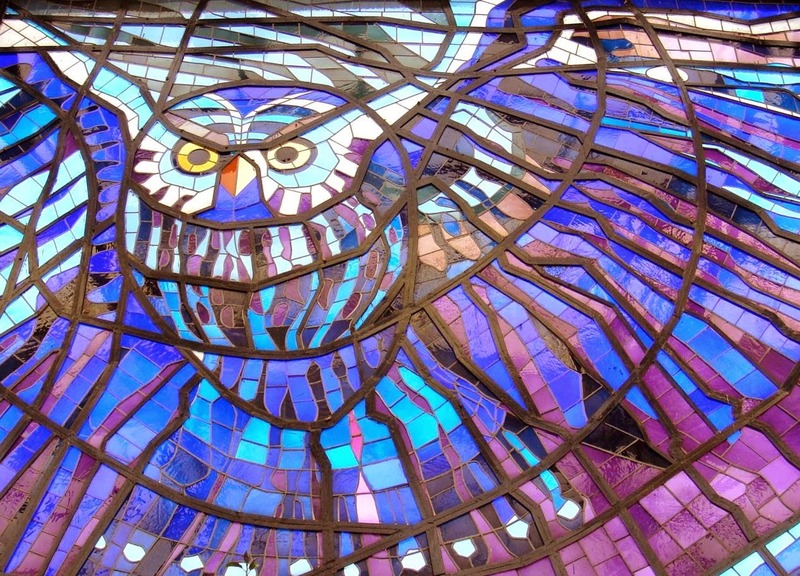 He saw a huge stained glass mural encircling the entire building and running across the ceiling. Below and within its confines he proposed a botanical garden. 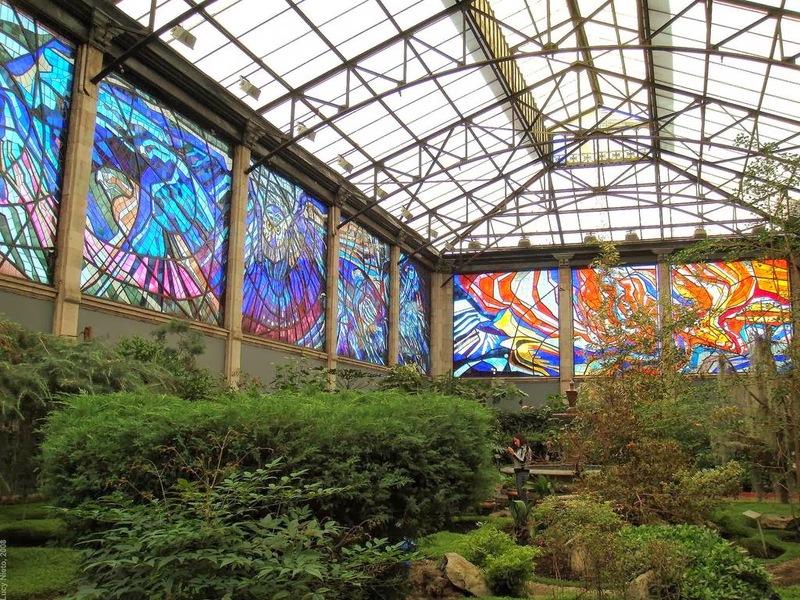 The art would show the relationship between man and the universe, the flora that which places man in his ecological environment. 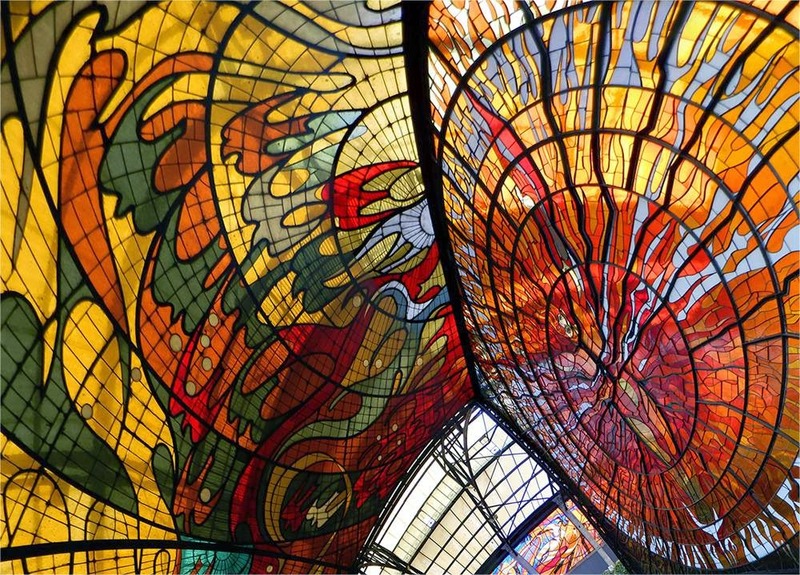 The name for the project which has also become the name of the building would be Cosmovitral. 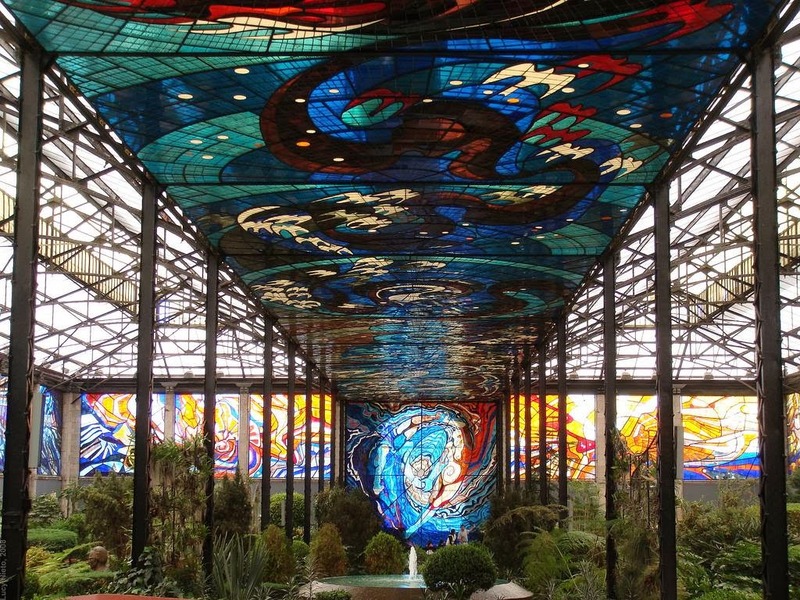 An amalgamation of the Spanish words for cosmos and glass, the project would take four years from development to completion. Most would agree it was time well spent. While Flores developed the project the building was cleaned from top to bottom, removing the best part of a century’s grime. 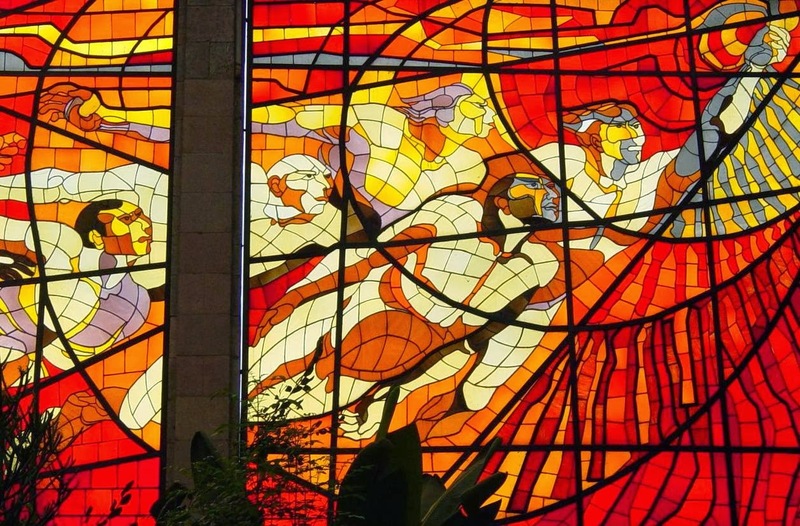 Then the walls were reinforced so that they could hold the weight of the stained glass windows. 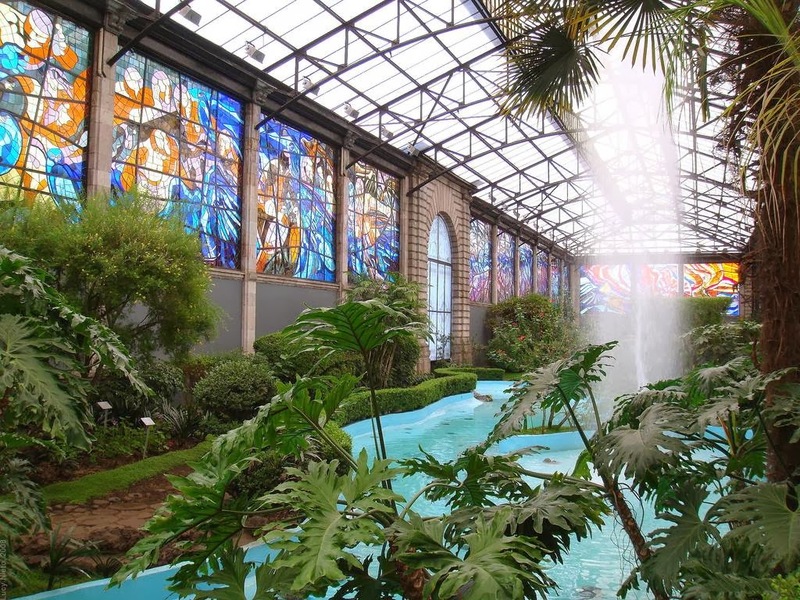 The building had to be significantly strengthened as the new additions would include 75 tons of metal support, 45 tons of blown glass and 25 tons of lead. Add to that the half a million pieces of glass used in the project and that is some weight to support to say the very least. 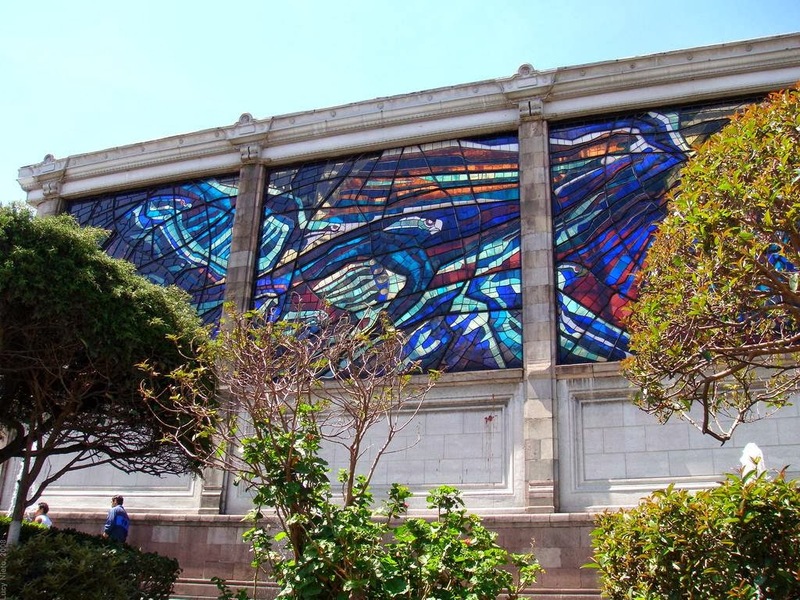 However, by 1980 the building was ready to be opened to the public (although the ceiling was not completed until 1990). 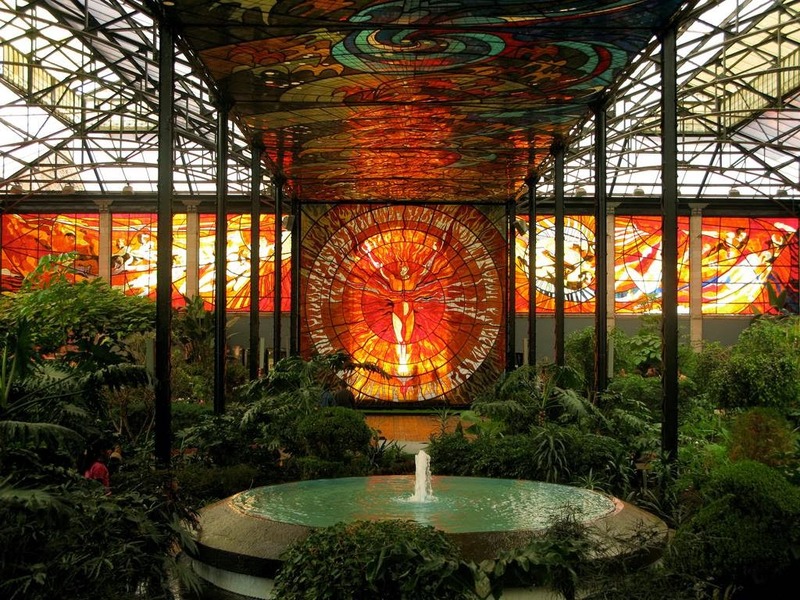 The centerpiece has, since day one, been Hombre Sol – or Sun Man in English. 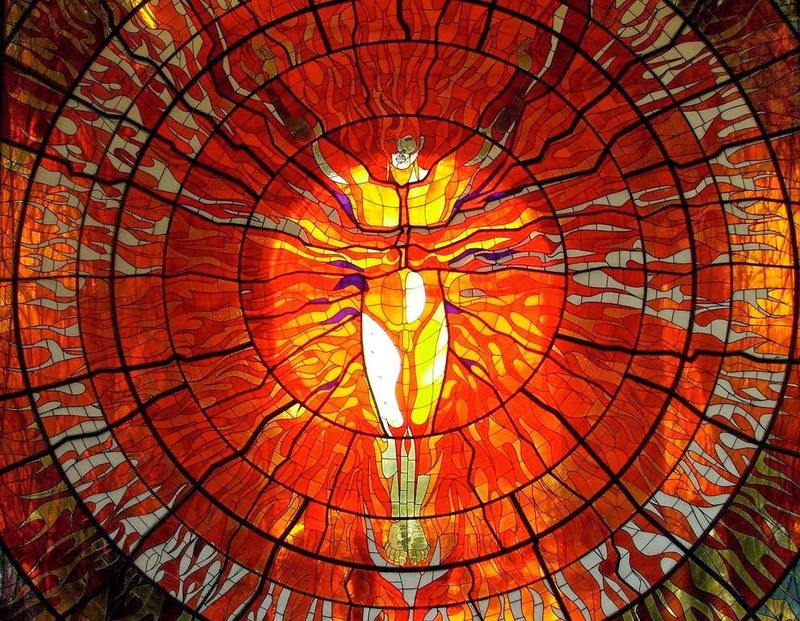 This amazing panel is representative of humanity in harmony and balance which make us unique as a species and each year Hombre Sol is aligned perfectly with the spring equinox. 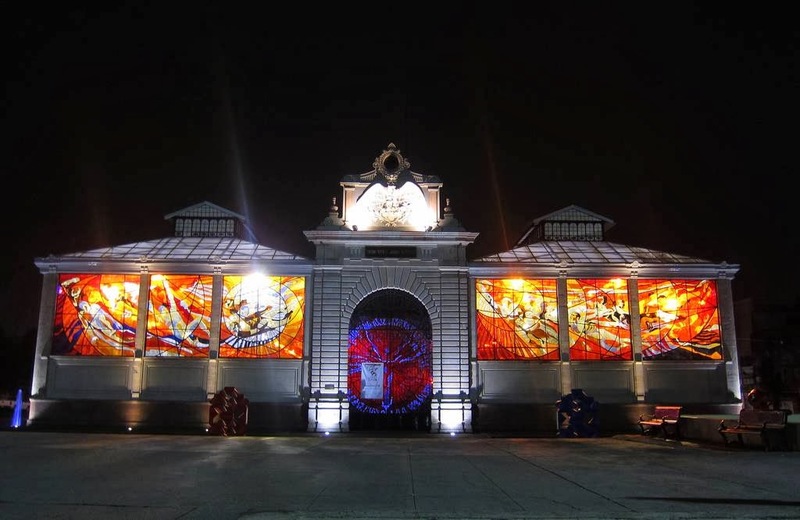 Such is the popularity of this piece that it has become synonymous with both the city and the country as well. 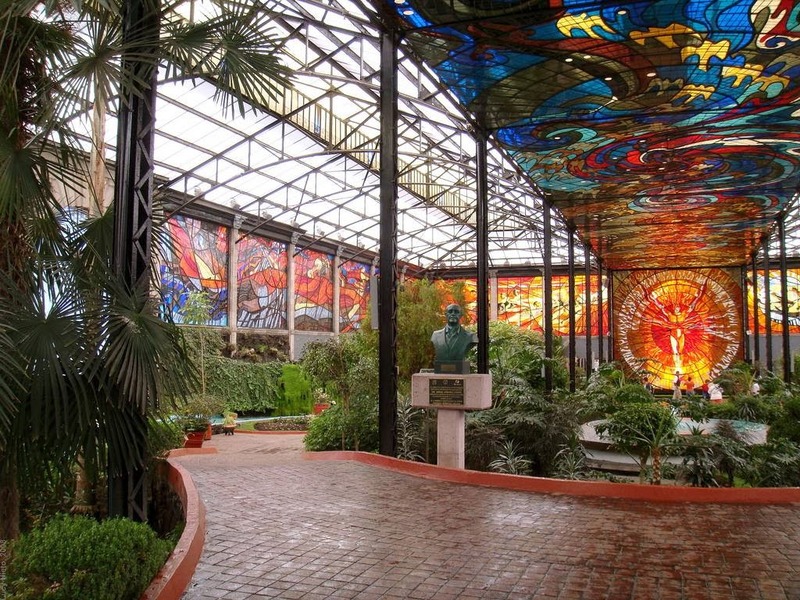 The garden is host to around 500 species of plant from Mexico and around the globe including lilies, roses, rare Mexican orchids, as well as cypress and ferns. There are also trees and shrubs such as the araucaria from Chile, amaranth of Brazil and tulip trees from China. One might wonder about the sense of building such a vision in an area well-known for its earthquakes. Fortunately, this was taken in to account when the marketplace was refurbished and strengthened – not a single piece of Cosmovitral has been destroyed by tremors. Occasionally someone will throw a rock (perhaps under the influence of tequila!) but these are quickly replaced. 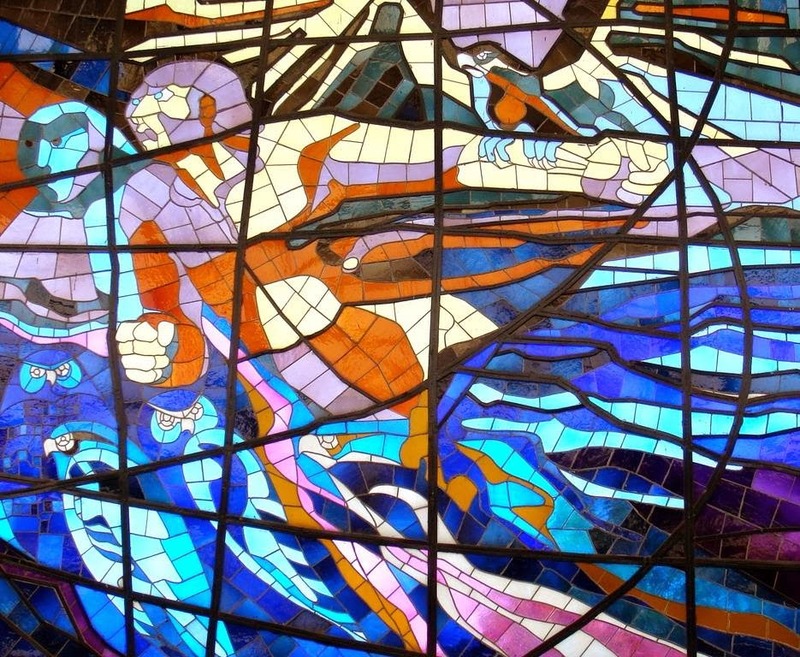 The glass, of course, must be kept clean in order for Cosmovitral to be seen in all its intended glory. The cleaning is performed by a team of two men. 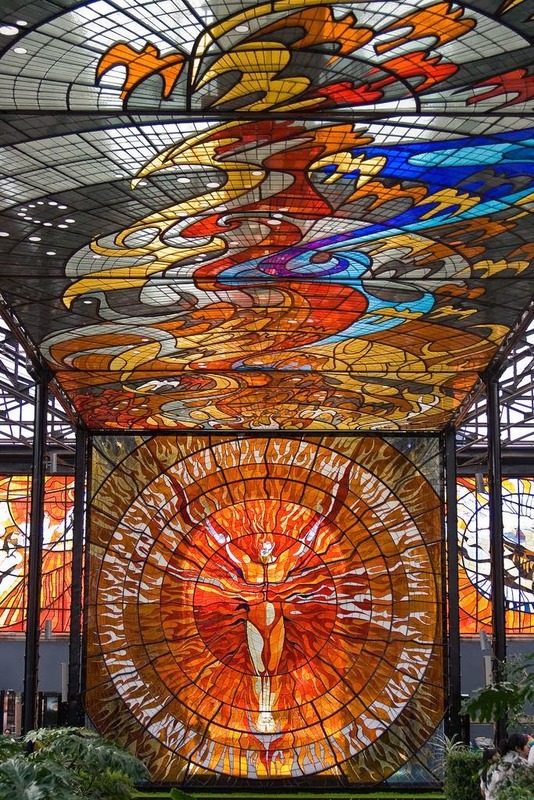 Conducted with only water, rags and a fine wire brush it takes fifteen months for each piece of glass to be cleaned – and then the team starts once more at the beginning. The same two men have been doing the job for over twenty five years. 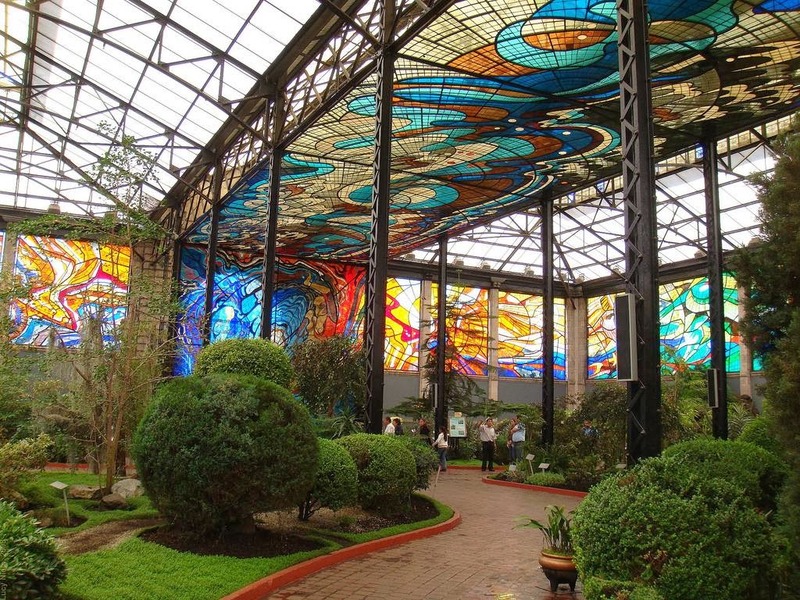 Although the building receives many thousands of visitors each year, over 95 percent of them are from Mexico and as such Cosmovitral remains little known outside of the country. Yet this is a cultural landmark of global importance and one which in the future will no doubt be cherished as part of humanity’s collective heritage.